In just 28 days, football fans around the globe will be watching their heroes playing for arguably the most coveted trophy in all sports, the Fifa World Cup. For most players participating it’s a chance to showcase their talent for a bigger payday, even if it’s lucrative already. But for others, it’s a final chance to say hello to the world and most likely goodbye to their national team friends and fans. 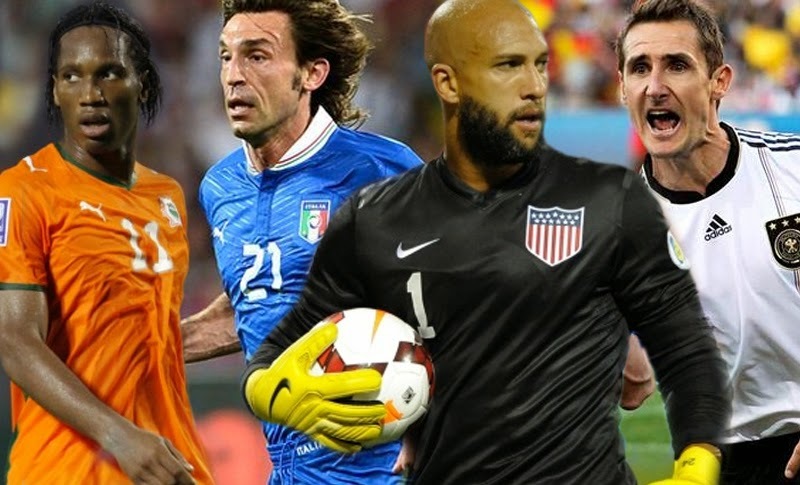 We take a look at the 19 players participating in this year’s World Cup, who will be 35 years old or over by the time the tournament is complete. In this first of two parts we take a look at the 9 youngest of the old bunch. We realize that officially Ignashevitch won’t turn 35 until the day after the final game of the tournament, but we felt bad leaving him out and added him anyway. In any case, this versatile CSKA Moscow defenceman is still key to the Russian defense. He started all but 1 match in the qualifying stage and is looking likely to be in the starting 11 in Brazil as well. If for whatever reason Capello decides to have him out of the starting lineup however, he can always be relied on to fill-in any other back-line position if need be. One of the last big factors of the Euro winning team from 2004 that is still wearing the Hellas white and blue, Katsouranis will be turning 35 two days after his squad’s second World Cup match, against Japan. Now with PAOK in Greece, he is still a key player and a leader in the Greek team. In 2004 Greece shocked the world by winning the Euro tournament, we are sure that Katsouranis would take a qualification to just the second stage this time around in what is most certainly his last major tournament with the national team. This 178cm Real Salt Lake goalkeeper will turn 35 just one day before his side’s opening match against Ghana. 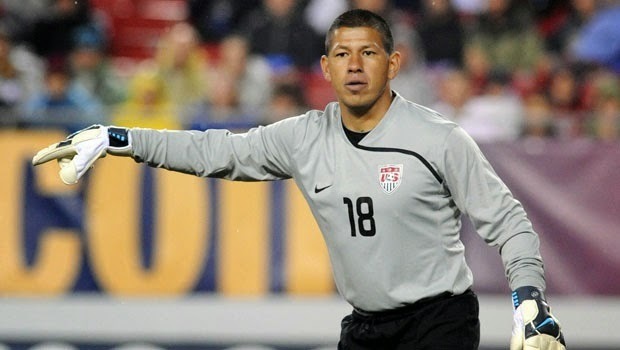 Unfortunately, it is highly unlikely that Rimando will see any action for his nation as Brad Guzan and Tim Howard are deemed to be well above him in the pecking-order when it comes to USA’s #1 spot in net. Forlán is one of the more attractive footballer names that come in at 35 or older on our list. Winner of the Golden Ball award and co-top scorer in the 2010 World Cup in South Africa, Diego Forlán is still a striker the Uruguayan national team relies on to score goals, even with Luis Suarez, Edison Cavani and Abel Hernandez in the squad. A star with Athletico Madrid at the time of the 2010 tournament, Forlán is in a league much lesser known now days as he plays his club football with Cerezo Osaka in Japan’s J-League. Nonetheless, he still scores goals and started in 11 of 18 qualifying matches for his nation. The Juventus midfielder is still a big name in world football even as he is about to turn 35 less than a month before the World Cup kicks-off. Oddly enough, his birthday is on the exact same day as that of Diego Forlan (who he will square up against on June 24 as Italy take on Uruguay in Group D action), but because of the time difference between Italy and Uruguay we figure that chances are Pirlo is at least a couple hours older. 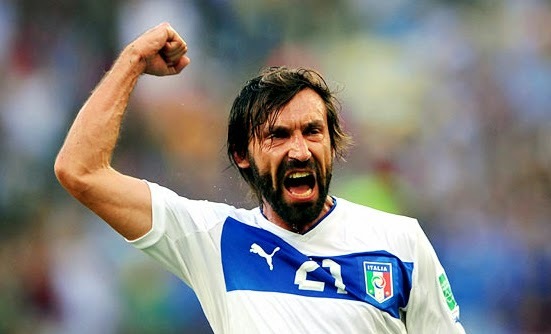 Pirlo was instrumental to Italy’s squad when they were crowned champions of the world in 2006 in Germany, and has collected over 100 caps for his nation since being first called-up to the senior squad in 2002. With his ability to control the midfield, Pirlo can still be a very important piece in the puzzle that is the Italian national team. With one world cup win already to his name and a very likely last appearance on the “big stage”, can Pirlo say goodbye to the Azzurri faithful with the glory of a fifth World Cup in the nation’s history? This French goalkeeper turned 35 years old yesterday, and having only 11 caps to his name with the national team and Hugo Lloris together with Steve Mandanda in the squad, Landreau is extremely unlikely to see any action in the World Cup. 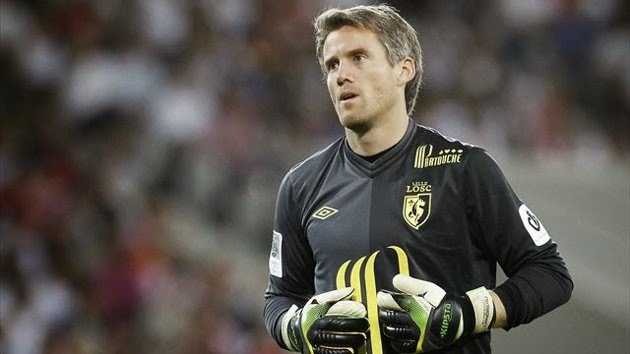 If, for whatever reason Didier Deschamps does decide to use him however, Landreau is a very capable keeper, with over 600 caps in his professional career split between Lille, Nantes, Bastia and Paris Saint-Germain in the French league. Landreau’s biggest chunk of appearances for his nation came during the qualifying stages for the 2008 Euros, where in 6 matches he let in just 1 goal. Another big name on this list and 3 months older than his teammate Rimando, Everton’s Howard is almost a lock for the starting job in United States’ net. 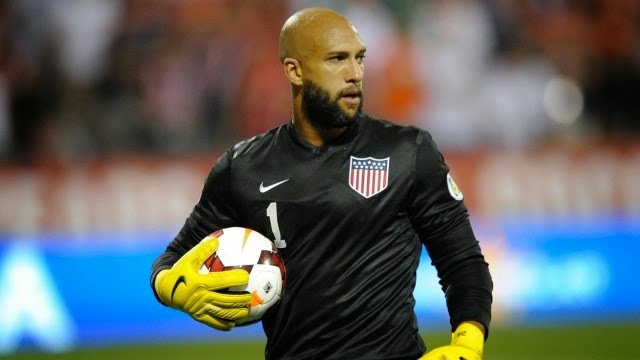 Tim Howard has been a key to USA’s success for almost 7 years now, although his first call-up was much earlier than that, in 2002. If Howard plays in all 3 group matches, he will reach the 100 match milestone for his country, he probably couldn’t wish for a better venue than the World Cup in Brazil to achieve that. Howard spent most of his career with his current club Everton in the English Premier League. After spending a few months on loan from Manchester United at Goodison park, Howard signed a permanent deal and has been the number one at Everton ever since. (Howard is also featured in our Top 10 Beard in Football). Rafael Márquez has been the heart of Mexico’s squad since 1997. In his club career, he has helped AS Monaco to a League 1 Championship and league cup, and with Barcelona where he spent seven years, Márquez won the league four times, and the Champions League twice. Needless to say, Márquez has the experience but whether or not he has the ability to push Mexico to heights they never achieved on the world stage is yet to be seen. 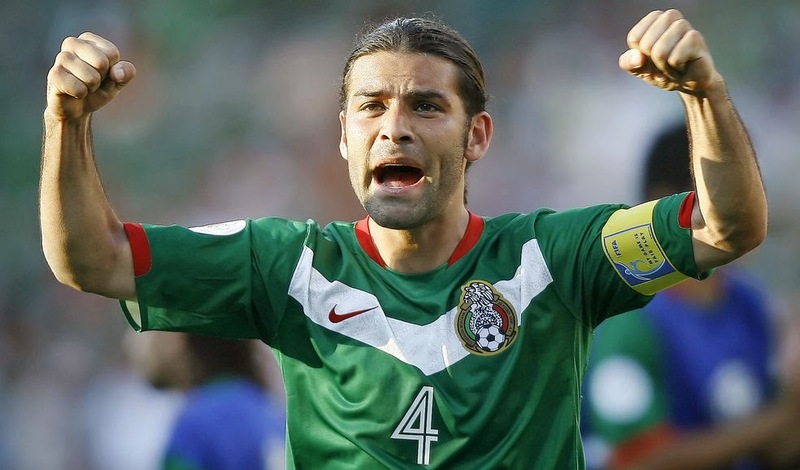 He is more than likely to start every game for his side, which would be a nice send-off for a Mexican hero, who will likely hang up his international boots after the World Cup. The first of three Colombians on our list is Luis Perea. A center-back that once practiced his trade with this year’s Champions League finalists Atletico Madrid, is not a household name when it comes to international football. 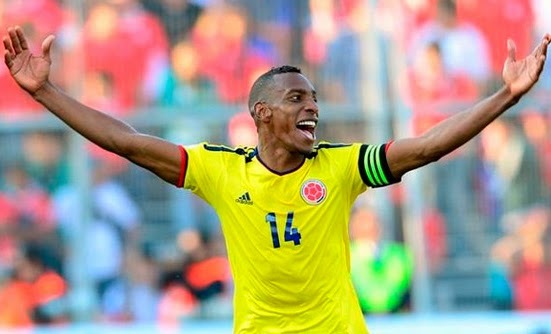 He is however still pretty important to his Colombian squad as an experienced veteran defender. Perea plays in the center of defense, but has also been known to fill in at the full-back position if needed.